What an amazing story of pain, loss, courage and an evil that goes beyond monstrous!!!! 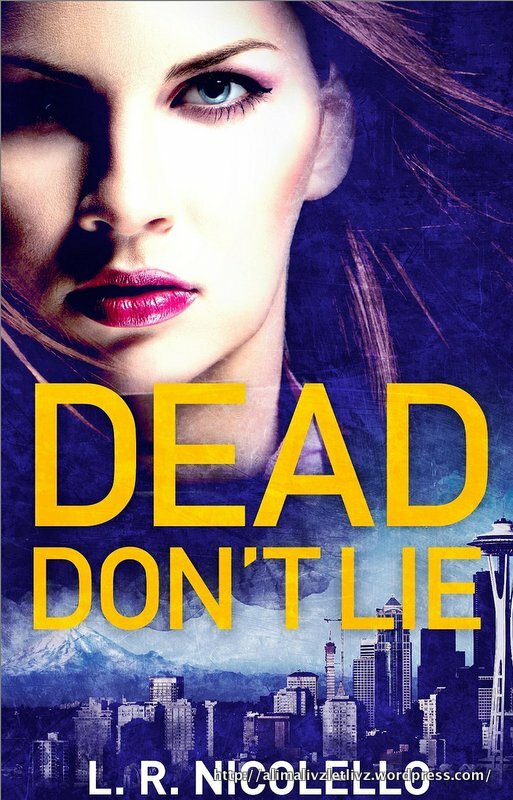 A chance request for “Dead Don’t Lie” by L.R. Nicolello via Netgalley, took me on a ride of anguish for the loss of loved ones, courage and grit to overcome a past and channel fears to help victims, and a patient love that gave unconditional support and strength through despair and havoc as a demon wages a war on innocent families. Detective Evelyn Davis, beats the nightmares and pain of losing her family to a monster fifteen years ago, and becomes a much sought after psychological profiler with the Seattle PD. Her partner Ryan and his family are her adopted family from the time she pairs with him, and she loves them to death and would take a bullet without a second thought. A murderer is on the rampage killing families with a rage that defies sanity and Evelyn and Ryan are brought into the case as lead detectives to catch the murderer. Special Agent Marcus Moretti comes into the picture, as he wants Evelyn to be a part of his special ops team in the FBI. He falls for Evelyn’s courage and passion for justice and her drive to give the families of tragedies the closure that she never got. The murderer gets too close to her and her family and she realizes that this could be connected with the murder of her family fifteen years ago. L.R. Nicolello does a fabulous job writing Evelyn as the strong, smart and courageous woman who breathes justice with a passion. Evelyn is one of the most admirable women I’ve come across and she stole my heart. Marcus is an amazingly sensitive agent tuned into Evelyn and her fears. His support and encouragement of Evelyn when she hits rock bottom was so endearing and his protective instincts and fierce love for her makes Marcus one of the most genuine guys I’ve read. Even though Marcus and Evelyn get their HEA, but the path to the end was one of an emotional roller coaster ride. I’ve never cried so much reading a section of the story when Evelyn finds herself become the guardian of a child. And the epilogue was one of the sweetest and the best ending to a couple who deserve nothing but happiness. This is one of the best romantic suspense thrillers I’ve read in a while and I am in awe of Evelyn and Marcus – a wonderful couple so easy to fall in love with, to cry with and laugh with.